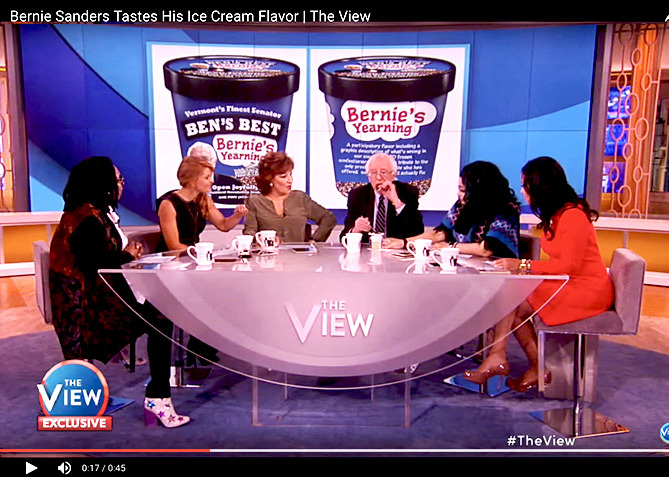 If you were alive in 2016 and didn’t hear about “the Bern,” you need to crawl out from underneath that rock. 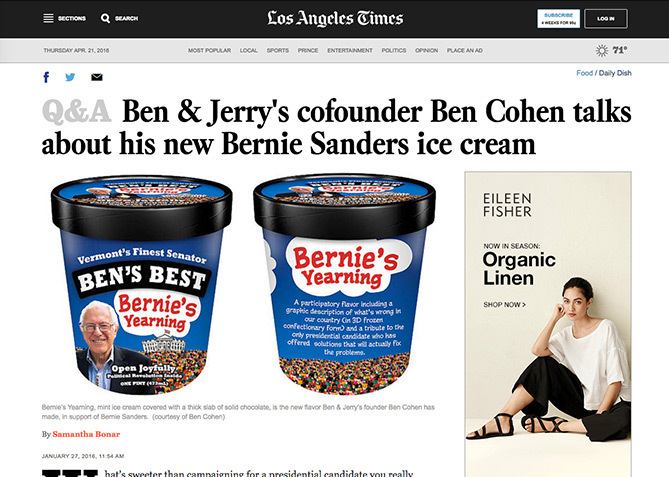 Ben Cohen, co founder of Ben & Jerry’s Ice Cream has turned to Four Nine Design for a number of projects. 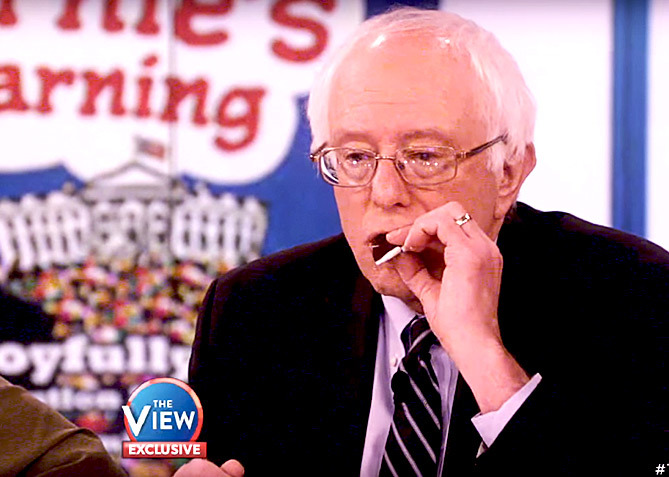 When he called on us to stoke the Bern, we obliged. 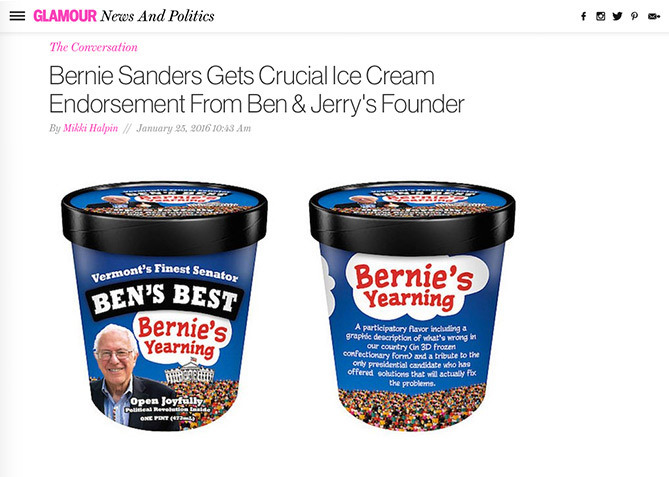 Ben Cohen, co-founder of Ben & Jerry’s is a fan of Four Nine Design and an even bigger fan of Bernie Sanders. 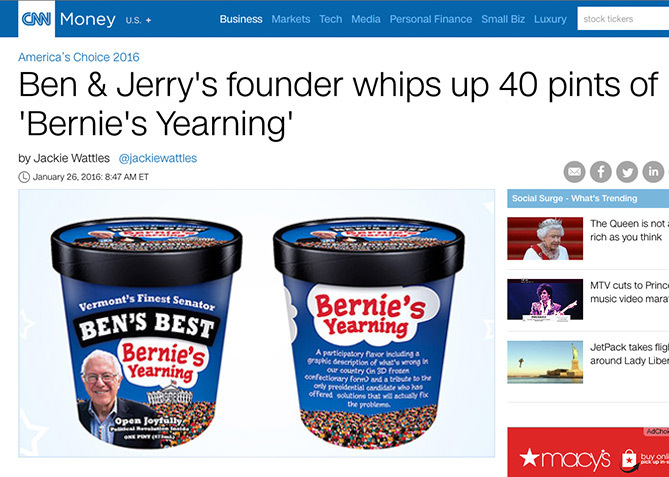 We’ve helped Ben with some of his public interest projects over the years, and when he called on us to design the packaging for a pint of Ben’s Best ice cream named Bernie’s Yearning, we had a pretty good idea what Ben was cooking up. 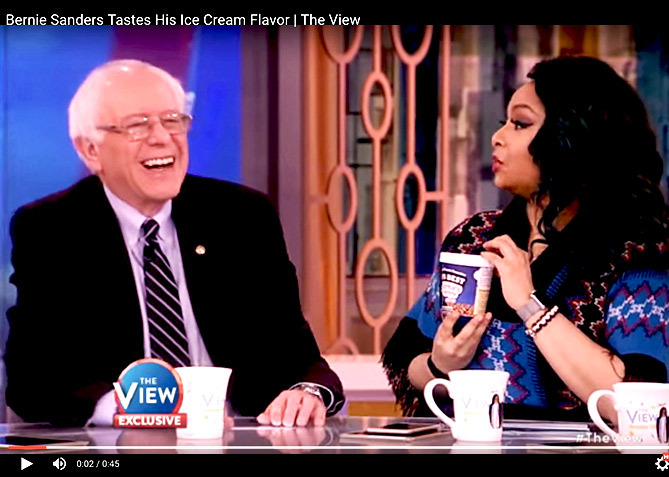 From late night with Jimmy Fallon and Steve Colbert to an afternoon ice cream party with Bernie himself and the ladies of The View, this limited edition fundraising flavor has made the rounds across just about every major news outlet in the US. 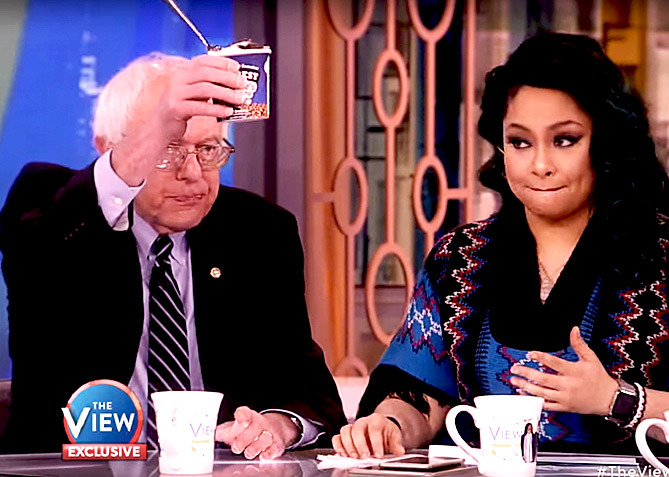 Bernie Sanders trying Bernie's Yearing on The View. 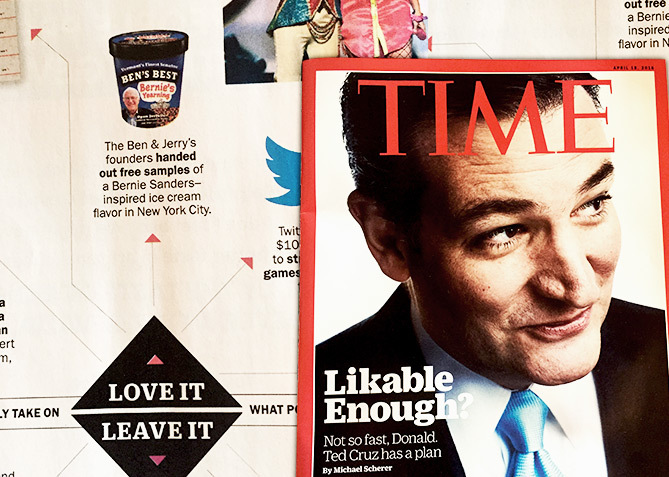 Time Magazine featured the project in its "Love It / Leave It" section. They loved it. 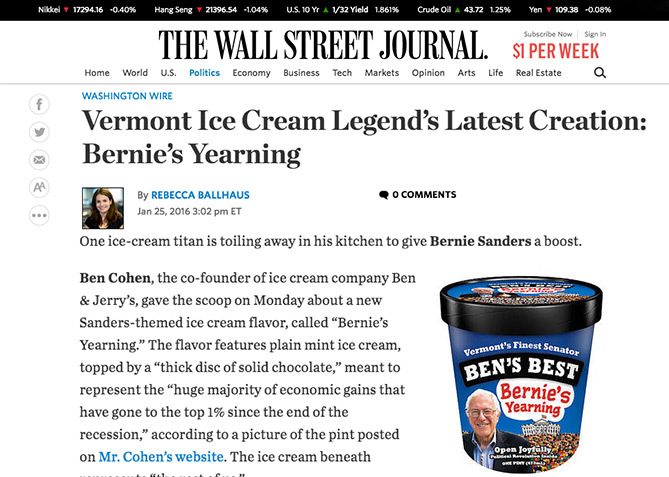 The Wall St. Journal's coverage of the project. 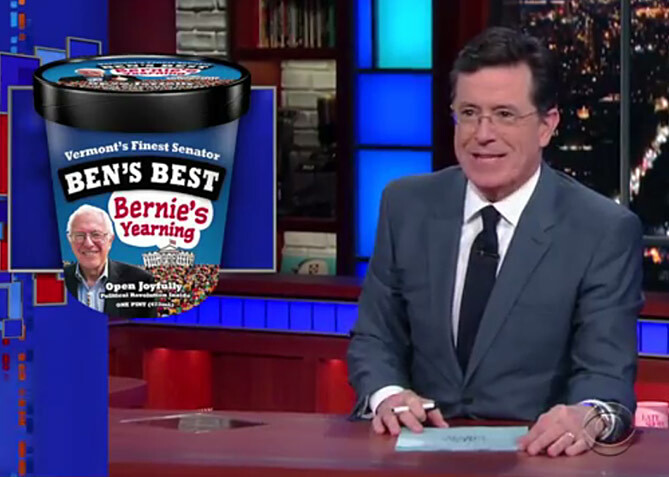 Steven Colbert talking about the project in his opening monologue. 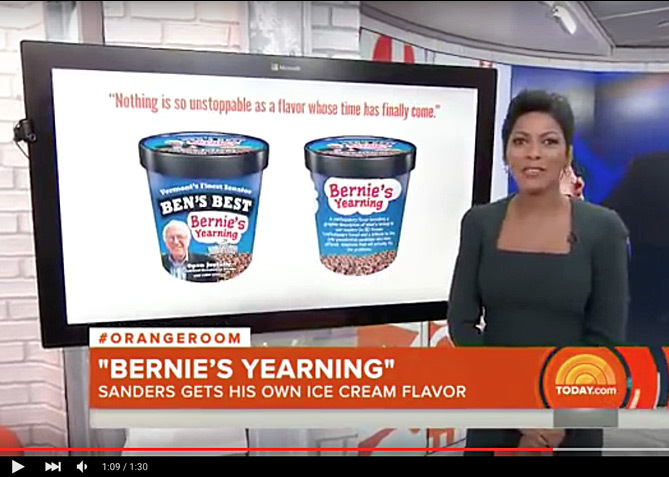 Bernie's Yearning featured on the Today Show. Glamour Magazine's coverage of the project. 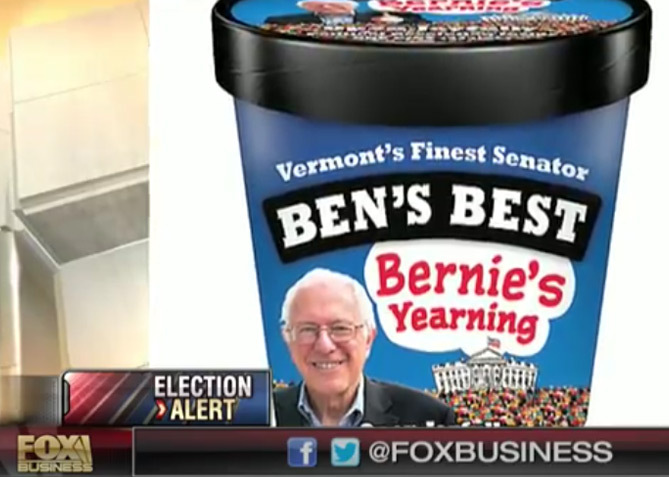 Fox News coverage of the project.